NIA-CHARLESTOWN, NEVIS (September 20th, 2011) — “Wonderful job by the police,” “Great marching,” “They marched in precision” were some of the comments made following yesterday’s [Sept. 19th] Independence Parade and Awards Ceremony which commemorated the 28th anniversary of Independence for the Federation of St. Christopher [St. Kitts] and Nevis. 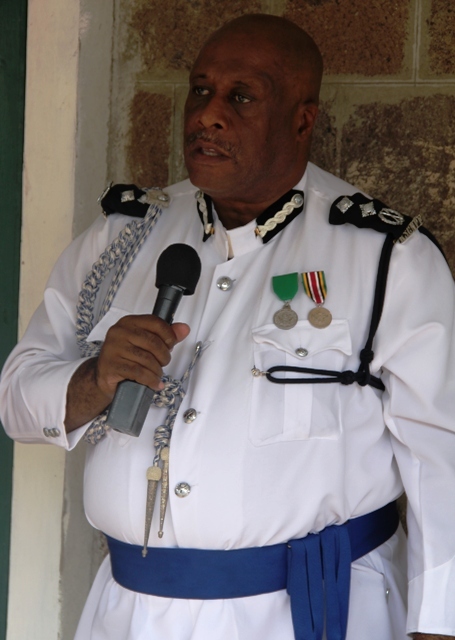 Among the persons who lauded members of the Royal St. Christopher and Nevis Police Force were Deputy Governor General His Honour Eustace John, Premier of Nevis the Honourable Joseph Parry and Deputy Commissioner of Police [COP] Mr. Stafford Liburd. The men were at the time addressing a handsome gathering at a brief ceremony dubbed “a toast” on the balcony of the oldest hotel in the Caribbean; the Bath Hotel. “The police and the cadets, they didn’t let us down at all and I am certain we all recognised the applause whenever they passed by and that’s an indication that they did very well,” Deputy Governor General John said. Obviously satisfied with the annual parade, which preceded the toast, Mr. John raised his glass and wished the citizens of St. Kitts-Nevis a happy 28th Independence anniversary. 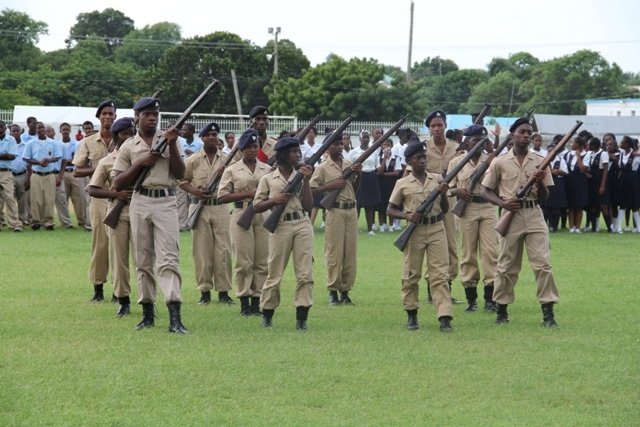 Inspector Terrence James was promoted to Acting Superintendent of Police, for one day, to perform his duties as commander of the parade while Sergeants Cornel Daniels and Ilena Phillip were temporarily promoted to serve as inspectors as they each performed roles of Aide-de-camp [ADC]. Aide-de-camp is a French word used to describe an officer who acts as a confidential and personal assistant to a senior officer. Sergeant Phillip, a resident of Jessups village, was the first female to act as ADC, Deputy COP Liburd announced proudly. Noting that he was pleased with the cadets’ performance at yesterday’s parade, he, like the Deputy Governor General, expressed particular joy with members of the police fraternity. “I believe that today did indicate that we do have the ability of being disciplined,” Deputy COP Liburd said as he challenged his fellow officers to recommit themselves towards being dedicated officers of the law. 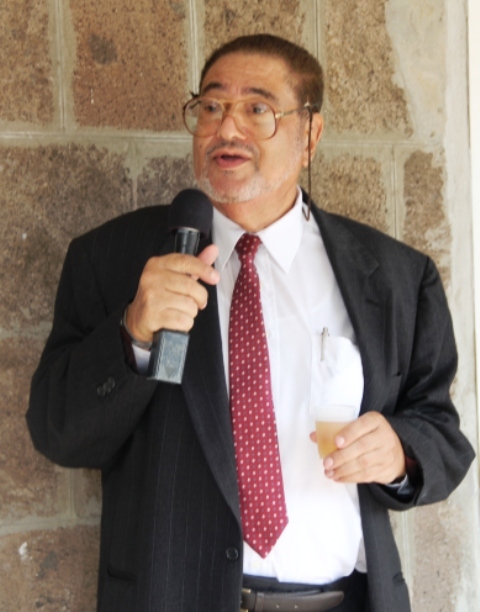 “Crime, certainly in the Federation, is a concern. You only have to travel outside or speak to someone who is interested in investing and you would recognise clearly that they are concerned about crime. 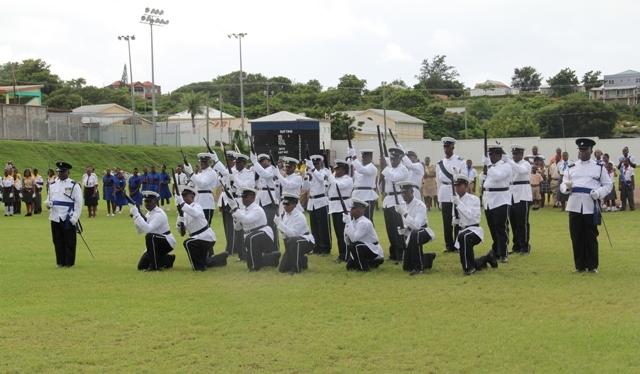 “Let us hope that by next Independence we can see more cadets, more people out, our officers well equipped as they were today and even better if we need to,” the senior officer said. Among the dignitaries present at yesterday’s toast were members of the Nevis Island Administration including Premier, the Honourable Joseph Parry, Deputy Premier the Honourable Hensley Daniel, Junior Minister the Honourable Dwight Cozier and Cabinet Secretary Mr. Ashley Farrell; President of the Nevis Island Assembly Mrs. Christine Springette and 2011 Independence Honouree Mrs. Sonita Daniel.